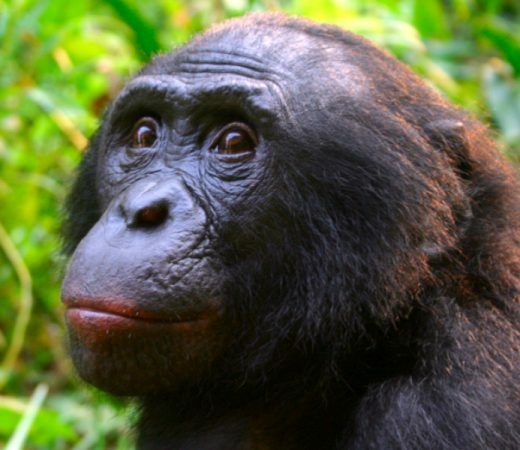 Sharing 98.7% of human DNA, bonobos are undoubtedly our species’ closest living relatives. 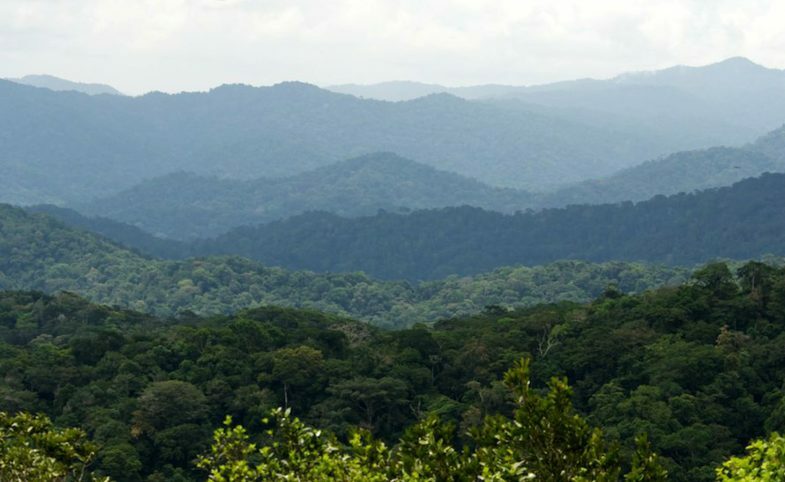 But, endemic to an area just 500,000 km², within the Congo Basin, threatened for natural resources, we could see them wiped from the face of the earth in as few as 75 years. This expedition provides a unique opportunity, not only to see bonobos in their natural habitat but to contribute directly to their preservation when they need it most. The aim of this epic expedition is to travel deep into the jungle’s heart in the Democratic Republic of Congo to find human’s closest relatives, the bonobos. 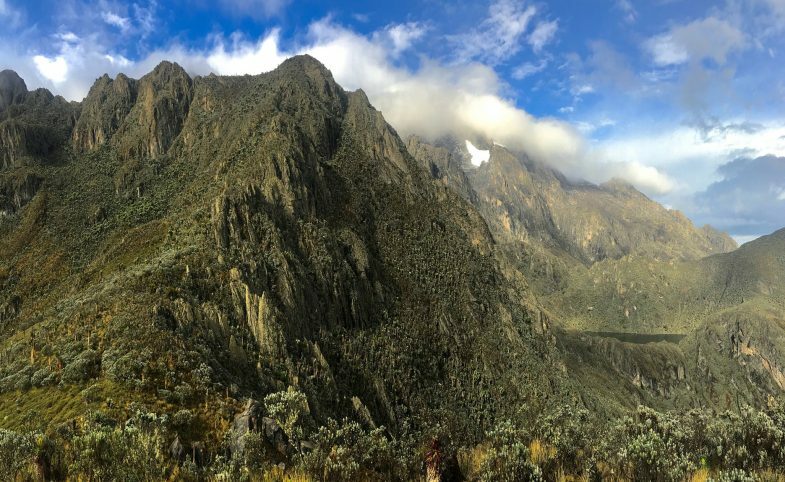 Supporting local conservation initiatives, the team will be among the first visitors to the new research and conservation centre deep in the Lomako-Yokokala Faunal Reserve. Travelling by plane, boat and foot, the journey to reach the bonobo sanctuary is an expedition in itself. Fully supported by national government and the African Wildlife Foundation, this is the first official expedition into the reserve with the opportunity to witness these incredible animals in their natural habitat. By taking teammates into the region, we hope to raise awareness and vital conservation funds towards the protection of the bonobos for future generations. Travel via dugout canoe through wild remote jungle and past floating fishing villages. 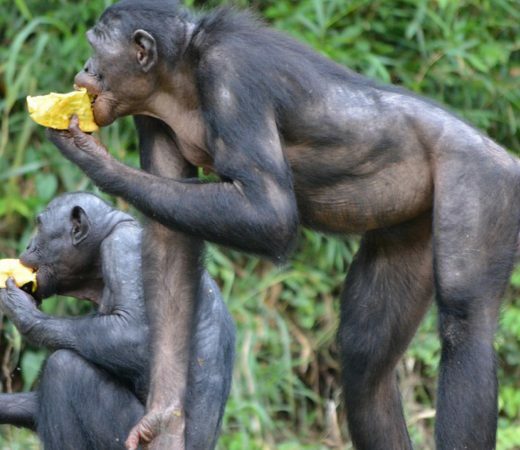 Trek and camp within the natural habitat of wild bonobos. Opportunities to see four additional primate species; black mangabey, red tail guenoc, wolfi monkey and the black & white colobus. Visit the Ekola ya reintroduction sanctuary near Basankusu, viewing rehabilitated bonobos from canoes. 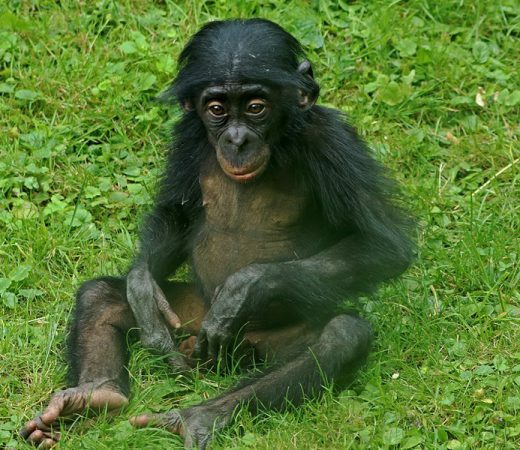 Visit the Lola ya Bonobo Orphanage near Kinshasa and interact with rescued Bonobos. Keep an eye out for endless jungle wildlife such as the Congo peafowl and the tiger fish. Bonobos (Pan paniscus) are a species of great ape found exclusively in the Democratic Republic of Congo. Sharing 98.7% of our DNA, humans are more closely related to the bonobos than any other animal on earth. In fact, bonobos are more closely related to us than they are to gorillas. Unfortunately, they are also the most endangered species of great ape and could be extinct in the next 75 years, with scientists estimating that only 50,000 to 75,000 remain in the wild today. Found only in the Congo Basin, the world’s second largest forest system, almost three times the size of France, both deforestation and the bushmeat trade has left them vulnerable to hunting. With an uncertain future of the species, the African Wildlife Foundation (AWF) and the United States Agency for International Development (USAID) have collaborated with the Congolese Wildlife Authority (ICCN) to protect, study, and habituate the only wild bonobos at the Lomako-Yokokala Faunal Reserve. This ground-breaking expedition supports the bonobo and the Lomako conservation project. Working alongside Sakamaki, one of the world’s leading primatologists, the Africa Wildlife Foundation has created the Lomako-Yokokala Faunal Reserve in an effort to protect the bonobos and their natural habitat. The Lomako-Yokokala Faunal Reserve is a protected 3600 km² area, located between the Yokokora and Lomako Rivers, both of which feed into the Congo River in North-West DRC. Employing locals in their conservation efforts and bringing income to the surrounding communities, the new research hub in the centre of the reserve is now at the forefront of forest ecology and bonobo research. Founded in 1994 by Claudine Andre, the Lola ya Bonobo organisation rescues orphaned bonobos from the illegal bushmeat trade and rehabilitates them at the Lola ya Bonobo rescue centre just outside Kinshasa. When it’s possible, the bonobos are later released back to the wild through the Ekolo ya Bonobo reintroduction sanctuary, a boat ride away from Basankusa. First built in 2002, Lola ya Bonobo – meaning ‘paradise for bonobos’ in Lingala, the main language of Kinshasa – is the rescue centre and rehabilitate area for orphaned bonobos. Just outside the country’s capital Kinshasa, this centre is integral to local education about the bonobos the trade of bushmeat and the conservation efforts in place. In 2009, after years of preparation, nine rescued bonobos were released back into the wilderness of the Congo Basin for the first time. The release site, called Ekolo ya Bonobo, or ‘land of the bonobos’, is 20,000 ha and with no paths through the forest, the only way to view the bonobos here is by boat. Focussed on protecting the bonobos, the organisation also works closely with the local communities. When the sanctuary was first set up, the nearby city of Basankusu with a population of 100,000 people, had no doctor and schools were without a single sheet of paper let alone books. Over the years, Lola ya Bonobo have provided equipment for the women’s birthing centre, medication for the pharmacy, and educational material for the schools. 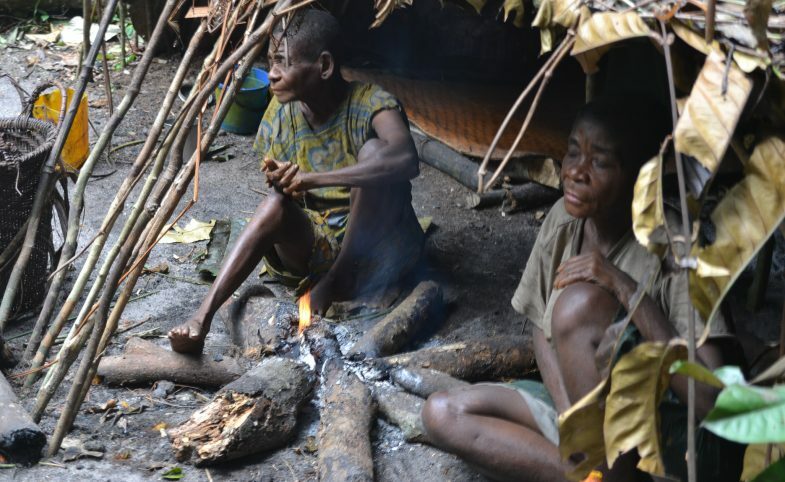 In return, the people of Basankusu have become ‘bonobo guardians’, protecting them in their new home in the wild. Secret Compass runs expeditions with framework itineraries, rather than guided tours with set daily plans. Read more about our Approach here. The following is the outline plan for this Epic expedition to DRC. A fuller itinerary will be provided in the Expedition Handbook which is available on request or upon application to join the team. All teammates fly into the N’Djili International Airport in Kinshasa. You will be picked up at the airport which is a short drive away from the city and transferred to the team hotel. Once at the nominated team hotel, there will be an expedition briefing and welcome meal with your expedition leaders. Setting off from Kinshasa, the team will take a chartered flight up to Basankusu. From here you will spend two days canoeing and hiking into the Lomako bonobo research centre. Once at the research centre, your time will be spent hiking through the jungle observing the bonobos and other wildlife and visiting the research centre. You will return to Kinshasa via the same route you entered, stopping off at the Lola Ya Bonobo orphanage and rescue centre for a day to finish off the expedition. After visiting the orphanage, it will be a short transfer back to the Kinshasa hotel, hot showers and a celebratory team meal. 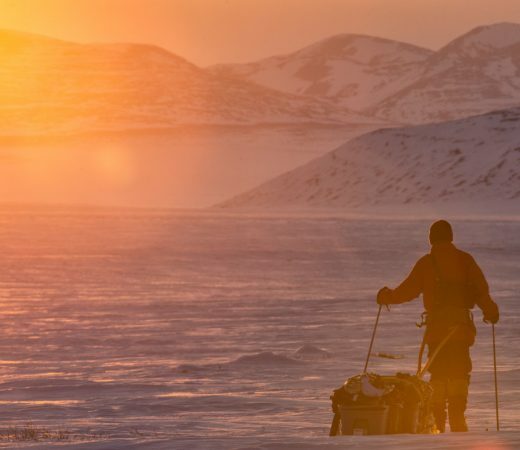 The expedition officially ends after breakfast on the final day although teammates can arrange onwards travel at any time on this date (including flights during the early hours). Airport transfers will be arranged for you. Full inclusions and exclusions are outlined in the Included tab on this page. Secret Compass expeditions are achievable by anyone with a healthy lifestyle and a good level of general fitness. Team members should be willing to work as a team working together to achieve the goal of the expedition. The biggest challenge on this epic expedition to DRC is trekking through the thick, hot jungle in search on the bonobos. Teammates who arrive without meeting the agreed minimum fitness requirements can jeopardise themselves and the expedition’s goal so do take training seriously, prepare as appropriate and arrive fit and ready to go. 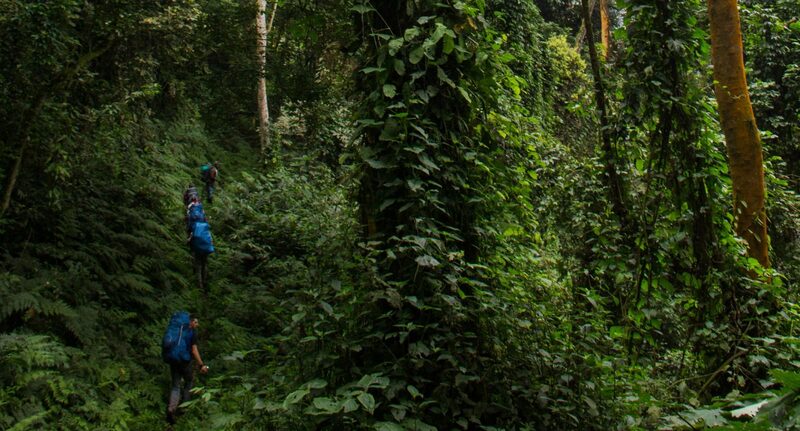 No previous experience of jungle terrain is necessary to join this expedition, but team members would benefit from trekking practice and being used to carrying 8 kg bags for multiple days. Teammates must be comfortable with the following. Trek: trek for four hours per day for four consecutive days. Carry: up to 8 kg per person. Terrain: through close tropical rainforest, through potentially boggy and wet areas, crossing rivers. Climate: in a hot and humid environment. 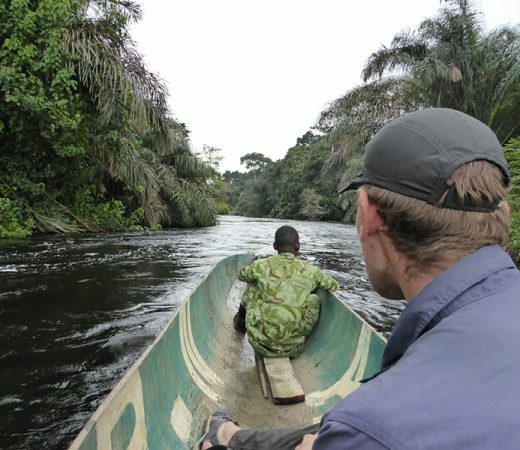 Swim: the primary mode of transport throughout this expedition is dugout canoe and river crossings may be necessary when searching for the bonobos each day. Being 100% comfortable around water is required and being able to swim will be very beneficial. All meals and soft drinks from the arrival dinner on the first night until breakfast on the morning of departure. All visas, permits and entry fees within DRC. On application to join this epic expedition, potential teammates will receive a detailed Expedition Handbook. Here are some expedition-specific questions and our general FAQ will answer many other questions. Get in touch if your question remains unanswered. Will we definitely see wild bonobos? We definitely hope so! Whilst visiting the orphanage in Kinshasa and the reintroduction centre outside of Basankusu you will definitely get to see bonobos in various stages of their rehabilitation process. Whilst deep in the Lomako reserve you will have to go out into the jungle each day to search for the families. 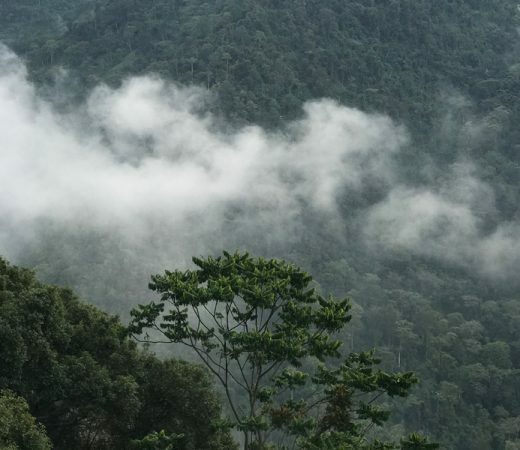 While we can’t guarantee sightings, the head primatologist and the guides will have a pretty good idea where they are so sightings are very likely. As The Plan outlines, there is a chain of transport to get teammates out to the start of the trek so start and end dates are not flexible. This will be very challenging with limited access to power once leaving Basankusu for the reserve. Please ensure that you are self-sufficient in terms of charging your appliances by bringing things like spare batteries, lightweight solar panels or power packs to avoid frustration. 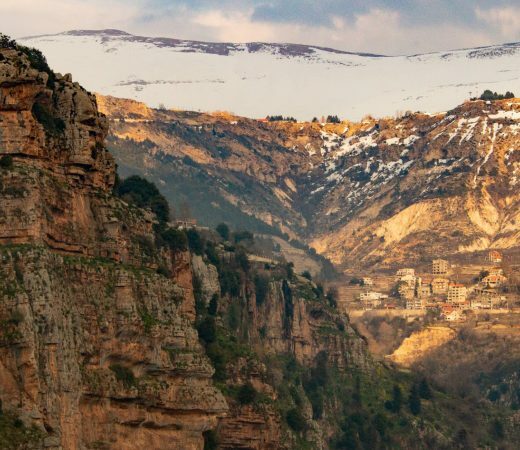 There is local support for this trek, so you will only have to carry day bags throughout. 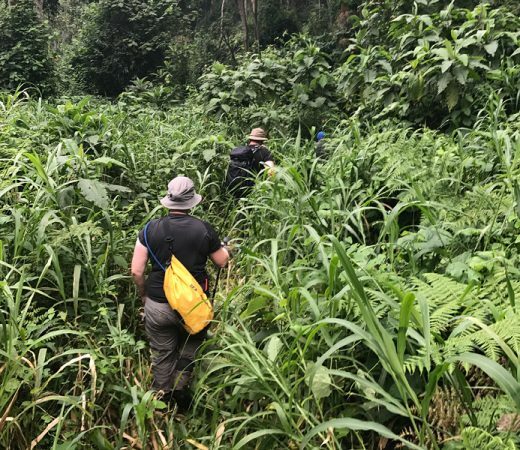 Once based at the AWF camp in the reserve you will be heading out on day trips into the jungle so you will only need to carry personal kit, food and water for the day and a share of the team medical kit. 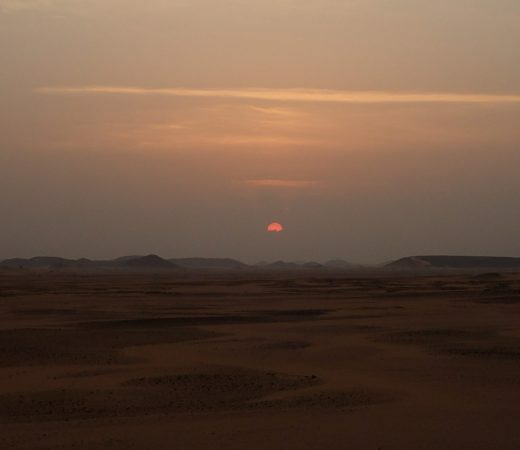 That being said, it will be hot and humid and the team will be covering difficult jungle terrain, so you should train in preparation for this expedition by meeting the requirements in the fitness section. I’m a vegetarian, can I join?